The FAP-S323C and S323CR are excellent mid-range access points with security built in. The FAP-S323CR has 2 GE ports that can be used to connect another device like an IP camera to the network. These 802.11ac Wave 1 access points have 2 radios that are 2.4 GHz and 5 GHz. These access points are ideal for mid-density environments such as classrooms or mid-size remote locations. The FortiAP-S series are cloud-managed access points designed for deployment in SMBs and distributed enterprise remote sites. Managed through the free FortiCloud provisioning and management portal, they eliminate the CAPEX and complexity of deploying WLAN controllers and management servers. Two models come with 3x3 internal antennas, and two are equipped with connectors for use with external directional or panel antennas. 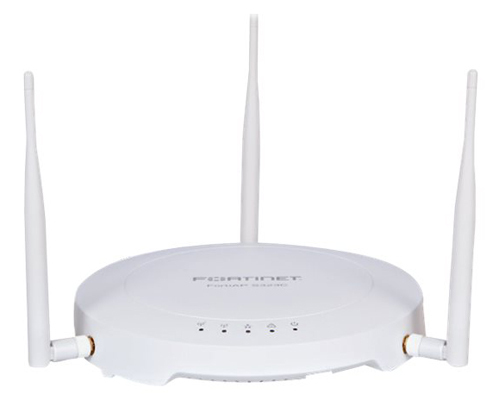 Unlike any other access points on the market, they are equipped with extra memory and a powerful dual-core processor, which enable them to perform real-time security processing on the AP itself, providing complete protection against all manner of WiFi and cyber-threats at the network edge. With Fortinet's award winning security technology embedded in the AP, the FortiAP-S series provides the most compact solution for complete content and application security in a Cloud WiFi architecture. This has significant implications for ease-of-deployment, operational efficiency and total cost of ownership. Benefits of Cloud Management Without Sacrificing Security Combines the low CAPEX and convenience of cloud management, with cloudprovided threat protection, delivered through regular FortiGuard updates. Advanced Security Protection Embedded in the AP On-board IPS, antivirus scanning, web-filtering and application control, protects all users and devices from the latest security threats. Integrated WIDS and Rogue AP Suppression Protects the network from advanced wireless threats to satisfy PCI DSS compliance. PCI-DSS compliance reports available through FortiCloud. 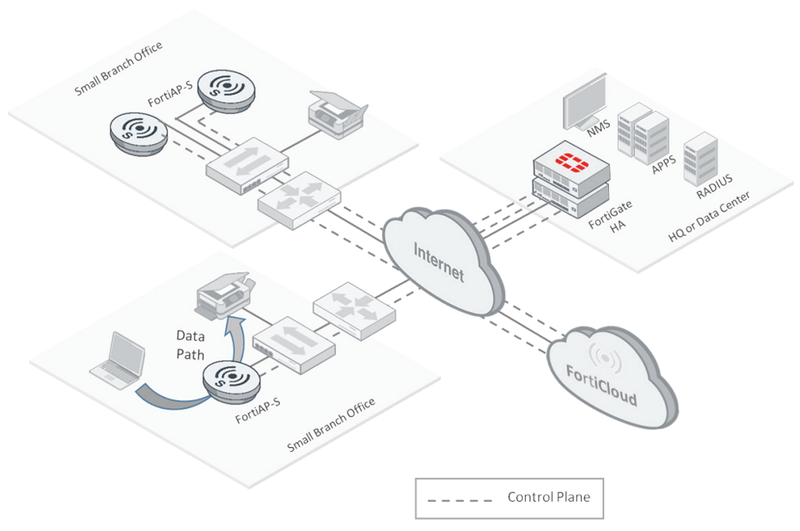 Download the Fortinet FortiAP-S Series Access Points Datasheet (PDF).